IAPB Italy was founded in 1977 on the initiative of the Italian Society of Ophthalmology (SOI) and the Italian Union of the Blind. It was then officially recognized by the Italian State with Law no. 284 of 28th August 1997. The reason that the International Agency for the Prevention of Blindness-IAPB Italy was founded is due to the fact that that, on the one hand, visual impairment is a widespread problem throughout the world and, on the other hand, the culture of prevention is often still lacking. IAPB Italy is a branch of the International Agency for the Prevention of Blindness-IAPB, a non-governmental organisation, which was established in London in 1975 as a coordinating, umbrella organisation to lead international efforts in blindness prevention activities. Its main purpose is to promote and support a global campaign against all forms of avoidable blindness, with a specific commitment towards low income communities. The loss of sight is a real scourge in the poorer countries of the world: the World Health Organisation (WHO) estimates that currently there are 36 million blind people in the world, while 217 million people are visually impaired are, of which approximately 90% live in developing countries. However, visual disability - which affects approximately 253 million people worldwide - is avoidable or treatable in over 80% of cases according to the WHO. It is estimated that, in Italy alone, there are 1,383,922 people affected by low vision and 219,174 blind people, a total of 1,603,096 people (Source: IAPB Atlas). IAPB Italy collaborates with the World Health Organization (WHO) in the field of vision rehabilitation of the visually impaired. The Italian branch of the International Agency founded a National Centre at the A. Gemelli Polyclinic Hospital in Rome, which is an important WHO Collaborating Centre on Prevention of Blindness and Rehabilitation of the Visually Impaired. IAPB Italy is also a member of the National Technical Committee for the prevention of blindness, which was established on 13th June 2017 by the Italian Ministry of Health and meets periodically at their premises. Diagnostic and vision rehabilitation centre for children with multi-sensory deficits, at the A. Gemelli Polyclinic Hospital. H) promotes and implements initiatives aimed at the prevention of blindness in particularly disadvantaged countries, within the framework of the IAPB and WHO programs, making them known to the Italian Ministry of Health and the Ministry of Foreign Affairs. •	Health education programs. Teaching younger generations correct hygiene behaviour to reduce the risks of contracting eye disorders and diseases is one of the privileged fields of action of the Italian branch of IAPB. •	The campaign “Keep an eye on the children” (“Occhio ai bambini”), the first edition of which started on 3rd March 2008, continues this year too: it is based on free eye exams in nurseries and primary schools, thanks to the use of specially equipped camper vans (mobile ophthalmic units). Eye screenings used to only involve children aged from 3 to 6 years old, and from 2013, they have been extended to primary schools (up to 11 years old): prevention of eye diseases is essential to ensure a better quality of life. •	The campaign “Open Your Eyes!” (“Apri gli Occhi”) campaign is a valuable educational tool intended to teach children ways of preventing major eye disorders. Over the past decade, more than 500,000 children have been reached in Italy (also in collaboration with the Italian Ministry of Health). After concluding a first traditional cycle, which involved the presence of professional actors in the classroom, the campaign was relaunched in a multimedia format. In total, up to 1,438 Italian schools participated in the project up until the 2016-2017 school year. Today, the campaign is mainly aimed at primary school teachers, who can also participate in a contest together with their students by accessing a dedicated platform. •	The International Agency for the Prevention of Blindness-Italian branch periodically organizes seminars and conferences in order to spread the culture of prevention and vision rehabilitation of the visually impaired. Such events are generally open to citizens and journalists, to experts, university professors and specialists in eye healthcare and prevention of eye diseases. •	Production of informative material. Through the adoption of different communication formats, IAPB Italy created comics to teach children about their eyes and sight prevention ("Vediamoci Chiaro"), leaflets geared towards adults (focusing on issues such as "Glaucoma", “Low vision and rehabilitation", "The prevention of eye diseases ", “Diabetic Retinopathy", "Dry Eye ", “Keratoconus”, “Cataract”, “Strabismus”, ecc. ), and DVDs, posters and leaflets. •	This website. 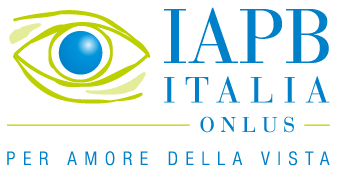 In order to provide correct information in the field of the prevention of visual impairment and vision rehabilitation, IAPB Italy constantly updates its official website (www.iapb.it), most often with international news. Mainly news in the field of ophthalmology is published, with particular attention given to the activities of the International Agency for the Prevention of Blindness (medical-scientific information, news on the prevention of the most common eye diseases, a map of the most authoritative vision rehabilitation centres in Italy). There is also an interactive area called "Ask the ophthalmologist", a forum where internet users can obtain free advice and information about ophthalmology related issues from an ophthalmologist (who is available from 10 a.m. to 1 p.m. CET, Monday to Friday). •	Social Ophthalmology-Public Health Journal ("Oftalmologia Sociale-Rivista di sanità pubblica"). Since 1977 the IAPB Italy has been publishing a quarterly scientific journal that aims to give space to research in the areas of prevention, vision rehabilitation and epidemiology, with a generally informative style. For some years the magazine has been printed in colour, but it has also always been available in Braille for blind people, upon request ; in addition to the traditional paper version, a digital version it is also available on this website as an archive up to the penultimate issue (in pdf or in word format). The current issue is only available to subscribers. •	Toll free number for eye health consultation. The need to correctly inform citizens in the field of ophthalmology has led to the implementation of a toll free number for eye health consultation, which is available every morning from Monday to Friday (active from Monday to Friday, from 10 am to 1 pm CET, available in Italy only, otherwise please call +39 06 36004929 from abroad). This service has proved to be very useful for thousands of people who call every year to obtain medical and scientific information on eye pathologies, as well as to enquire about the services provided by IAPB Italy and public health facilities. •	 Projects in developing countries. IAPB Italy has run its own projects in Ethiopia (construction of 113 wells), Morocco, Burkina Faso (through the IAPB Committee of Tuscany) and Congo. Furthermore, in order to give maximum effectiveness to action plans to combat avoidable blindness in poor areas of the world, the International Agency for the Prevention of Blindness-Italian Branch has established close working relationships with the World Health Organization, other institutional stakeholders (Ministries, Municipalities, etc.) and various non-governmental organizations active in this field. •	VISION 2020: The Right to Sight. A joint programme launched by the IAPB and the WHO, it was subsequently managed by the IAPB alone and received the support of over 20 international NGOs active in the field of eye health prevention. The programme aimed at eliminating avoidable blindness (or at least reducing it). Its objectives were then included in the WHO global action plan for the prevention of avoidable blindness and low vision (read more). •	International activity against age-related macular degeneration (AMD). IAPB Italy, as a member of the World Council of the AMD Alliance International (a coalition of international organizations), has been committed for several years to the prevention of this highly debilitating eye pathology, that affects the centre of the retina. Every year, IAPB Italy celebrates World Sight Day on the second Thursday of October. It provides, in most cases, free eye exams open to the public for diagnostic and prevention purposes. On the same occasion a press conference takes place in an institutional location. Furthermore, information leaflets are distributed to inform citizens about the main eye diseases and the healthy behaviour to prevent them. The World Glaucoma Week is celebrated in March. In this case, too, eye exams are usually performed in public urban areas using, among other things, an instrument for measuring eye pressure (tonometer). Diabetes can have serious consequences on vision: this is why the International Agency for the Prevention of Blindness periodically promotes campaigns, which are aimed at an early diagnosis of diabetic retinopathy. National Center of Services and Research for the Prevention of Blindness and Vision Rehabilitation of the Visually Impaired. Inaugurated on 11th October 2007 in Rome (according to law no. 291 of 16th October 2003), it is based at the Agostino Gemelli Polyclinic Hospital. This is a project that has become a reality especially thanks to the commitment of the President of IAPB Italy, Mr. Giuseppe Castronovo, but also thanks to the support of the Ministry of Health and Università Cattolica del Sacro Cuore. Its main activity is to conduct research on vision problems and vision rehabilitation of the visually impaired, thus providing an important contribution to the prevention of blindness in Italy. In 2013, the National Center became a WHO Collaborating Centre on Prevention of Blindness and Rehabilitation of the Visually Impaired. In December 2015, the National Centre organized an international conference on vision rehabilitation standards worldwide (guidelines are being defined, which are reviewed in 2016 by the WHO General Assembly). Diagnostic and vision rehabilitation centre for children with multi-sensory deficits, which was inaugurated on 13th December, 2012 at the A. Gemelli Polyclinic Hospital in Rome, following an agreement between the hospital (in particular the child neuropsychiatry department) and the International Agency for prevention of blindness-IAPB Italy. In a dedicated environment, families can work with all the professional that are needed to achieve an optimal psychomotor development of their child. This approach can contribute to improving the quality of life of both children (from birth) and their parents. The team includes child neuropsychiatrists specialising in visual functions, ophthalmologists, neonatologists and rehabilitation experts for low vision. In this way, the greatest number of exams can be carried out in a short time, thus avoiding infants and other children the inconvenience of "pilgrimages" to uncoordinated specialists. The Centre’s activity is carried out both at the neuropsychiatry outpatient clinic of the A. Gemelli hospital (at a diagnostic level) and at the premises of the National Services and Research Centre for the Prevention of Blindness and Vision Rehabilitation of the Visually Impaired IAPB Italia. Published on 15 January 2019.